All-New Concept Debuts at North American International Auto Show. 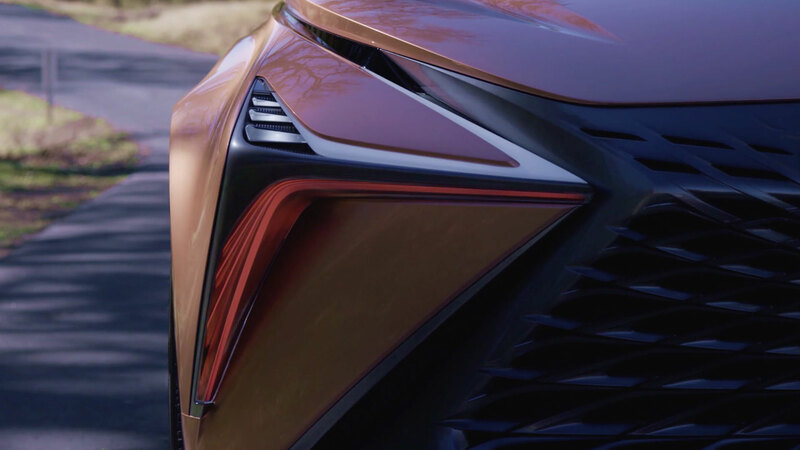 DETROIT – Jan. 15, 2018 - Like molten metal being forged into a fine Japanese sword, the lines of the Lexus LF-1 Limitless concept have the potential to shape the future of a flagship luxury crossover for Lexus. Lexus established the luxury crossover segment two decades ago with the global debut of the RX 300 at Detroit. It remains the top-selling luxury crossover despite nearly 50 competitors that have since entered the segment. Now, the Lexus LF-1 Limitless concept introduces a new genre of luxury vehicle: the flagship crossover. Combining high performance with unrestrained luxury, the Lexus LF-1 Limitless is a showcase of technology, innovation and the latest evolution of design at Lexus. Limitless in its potential and possibilities, this concept caters to the diverse lifestyles of our customers. Likewise, the possibilities for powertrains are limitless. The LF 1 concept could be powered by fuel cell, hybrid, plug-in hybrid, gasoline, or even all-electric. By around 2025, every Lexus model around the world will be available either as a dedicated electrified model, or have an electrified option. The innovative spirit of the LF 1 was created at CALTY Design Research in California. The design language is rooted in the simple yet elegant design concept dubbed molten katana. This design visualization fuses the organic shapes of liquid metal with the sharp edges of a traditional Japanese sword. Imagining that shift from a smooth, flowing mass into a solid, chiseled shape formed the basis for the fluid, yet aggressive design of the LF 1 Limitless. "The LF-1 Limitless concept incorporates imaginative technology while creating a strong emotional connection by improving the human experience for the driver and passengers." - Kevin Hunter, President, CALTY Design Research Inc. It starts with the right proportions. The Lexus LF-1’s exaggerated dash-to-axle ratio gives it an athletic profile that evokes classic grand touring cars rather car than an estate wagon. Combined with a cabin that sits deep within the rear-wheel drive chassis and aggressive 22-inch wheels barely contained under bulging fenders, the LF-1 has a powerful stance that conveys its performance intensions at a glance. The low roofline and elevated ride height further emphasize that this is a crossover designed for performance with practicality. Like all current Lexus models, the spindle grille on the LF-1 is a core element to the overall design. On the LF-1 it’s been taken even further, with details that suggest the start of the spindle form at the rear of the vehicle that then continues forward toward the nose. The grille itself features a three-dimensional design with colors developed in-house by CALTY. Ridges radiating away from the central emblem suggest magnetism guiding metal filings into shape. There is no chrome, as the LF-1 instead uses LED lighting around the grille that greets you on arrival. “Lexus models such as the RX have helped drive the global popularity of the luxury SUV category. This new crossover concept captures a future that involves a high level of dynamic capability and utility matched by a more exciting, emotional design that we hope challenges expectations in the category,” said Yoshihiro Sawa, President of Lexus International. In profile, the LF-1 has a clearly defined flow from front to rear starting with the fender line that extends from the hood all the way to the bottom of the D pillar. That line contrasts with the more complex surfaces below it like the wide, crisply creased front fender that transitions to the smooth, deeply scalloped front door. From there, the bodywork slowly builds back out again to envelope the rear wheel giving the LF-1 a coke-bottle shape evocative of classic muscle cars. A split spoiler grabs your eye at the rear of the Lexus LF-1 roof, but there are interesting curves and details along every inch of the rear fascia. The beautifully sculpted openings at each corner might look like exhaust pipes but they’re actually vents for the air coming past the rear wheels. The shoulders above those wheels provide sturdy mounts for the sculptural taillights that extend well past the metalwork. Above the lights is the huge expanse of glass that extends over the rear seats to offer an uninterrupted view of the scenery thanks to the split spoiler on each side. Luxurious comfort for every passenger was CALTY’s goal for the cabin. The LF-1 adheres to the Japanese tradition of omotenashi, or hospitality, welcoming all who enter with equal enthusiasm. The cockpit is designed to allow the driver to concentrate on the task at hand by removing distracting analog knobs and buttons in favor of motion-activated controls and a minimalist display directly ahead. The front passenger space is far more open, with even fewer controls and a wide unobstructed dashboard. Those in back get the same seats as those in front with expansive legroom and individual display screens for adjusting the climate control or entertainment options. The interior trim is adorned in a metallic finish that’s a perfect blend of rose-gold and copper similar to the exterior color, but with a satin finish for a warmer feel. Accents around the instrument panel and on the steering wheel further enhance the cockpit feel for the driver. Additional metallic accents throughout the interior contrast with the dark Cocoa Bean leather trim and seats covered in Chiffon White perforated leather. Lighting also plays a key role in the look and feel of the interior. Engaging the START button initiates a dramatic lighting sequence of ambient light based on which of the several available driving modes is engaged. For a more subtle effect, the wooden door trim has tiny perforations that allow indirect light from miniature LEDs to shine in a variety of colors that complement the more direct overhead lights. Technology enhances the luxurious feel of the LF-1 by expanding the options offered to the driver. It starts with the LF-1’s Chauffeur mode, which allows for hands-free operation thanks to the vehicle’s by-wire steering, braking, acceleration, lights and signals. For engaged driving, all powertrain controls and mode displays are on the steering wheel to keep the driver focused on the road. The result is smooth, carefree driving with maximum efficiency and reduced risk of accidents. Paddles mounted to the steering wheel control the transmission in manual mode for sporty driving while buttons on the lower section of the section of the steering wheel engage standard drive mode options like park and reverse. There is also a four-dimensional navigation system which builds on traditional systems by adding the element of time to the equation. It acts as a concierge for the occupants by anticipating the needs of the driver and passengers based on the progress, traffic and road conditions along the programmed trip, suggesting fuel stops, rest breaks and restaurants, even offering to make hotel reservations. Navigation and route information are displayed on the in-dash monitor, the rear seat entertainment screens, or wirelessly connected to passengers’ tablets and smart phones. Touch-responsive haptic controls easily reached from the steering wheel interface with the 4D navigation system and integrated comfort and entertainment systems. A touch-tracer pad embedded in the leather-covered center console supports character recognition for data entry. An additional haptic controller in the rear seat center console allows passengers to make their own comfort and entertainment choices. 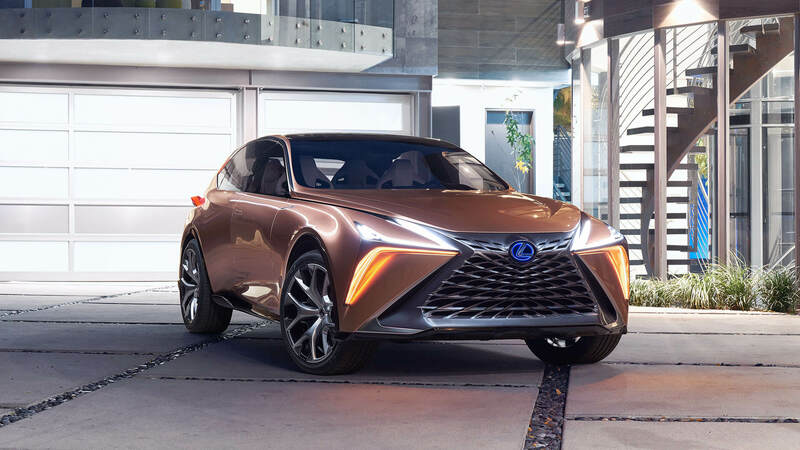 With its innovative technology and captivating styling, the Lexus LF-1 Limitless concept represents the potential for an amazing experience for future luxury customers.